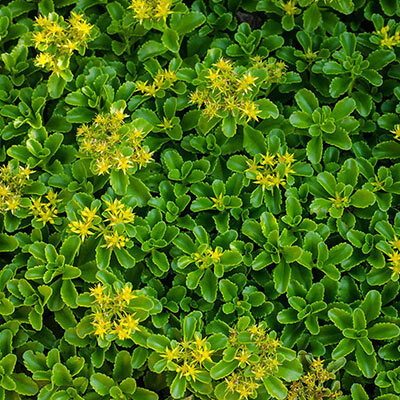 Flower Form: Small, star-shaped flowers (larger than many other low-spreading Sedums) bloom on short stems right above the foliage. Foliage Type: Succulent, fleshy, rounded, toothed leaves in shades of green. Pruning: Pruning is not necessary. This is a very low-maintenance plant. Soil Requirement: Well-drained, average soil. Does not like to be wet.